Facebook Reaction is a segment of emojis appear when an user either hover(desktop) or long press(mobile) the Like button.These emojis consist of Love,Like,Haha,Yay,Wow,Sad,Angry which allow an user to hastily react to a Facebook post.Now rather than liking a witful status,an user can react with a sentiment that will be more applicable.The real world examination of this feature will begin only in Ireland and Spain. This modification may seems to be superficial but actually it is serious for the company.The company seemed to be taking old aged advice with the help of Like button “if you can’t say anything nice,than don’t say anything”.Many users take LIKE as an inappropriate way of showing affinity events. 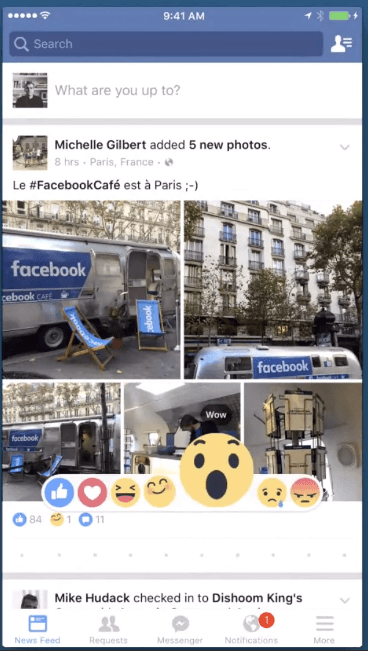 Facebook was suffering from the pressure given by the user to add DISLIKE button,with the help of this feature one is allow for the rainbow of emotions to convey to avoid voting like youtube,reddit and many internet forum does.An extra negative reaction on any post can make an user discourage them from sharing anything on Facebook,this is what Facebook strictly wants to avoid. In September during an event at company’s headquater Mark Zuckerberg,Facebook CEO initially nudge Reactions supporting that “not every moment is a good moment”.Zuckerberg said Facebook would propose a feature that will give their users more ways to express their feelings. 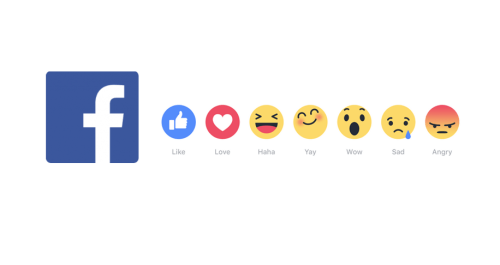 Have something to add on FACEBOOK REACTION? Please add in comments. Next articleChina Helped U.S.A: China Arrested Hackers on the Request of U.S Government.